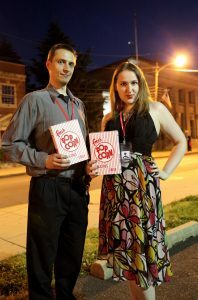 Matt Conant and Stephanie Yuhas are co-founders of Project Twenty1. They have a combined twenty years experience as writers, directors, and producers on shorts, features, and episodic content for web and broadcast. They also run commercial production company Crystalline Studios, and Cinevore Studios, a creative content house specializing in smart comedy and science fiction. The duo helped create Project Twenty1 to help remove the financial barriers of entry for independent artists to careers in film and animation.